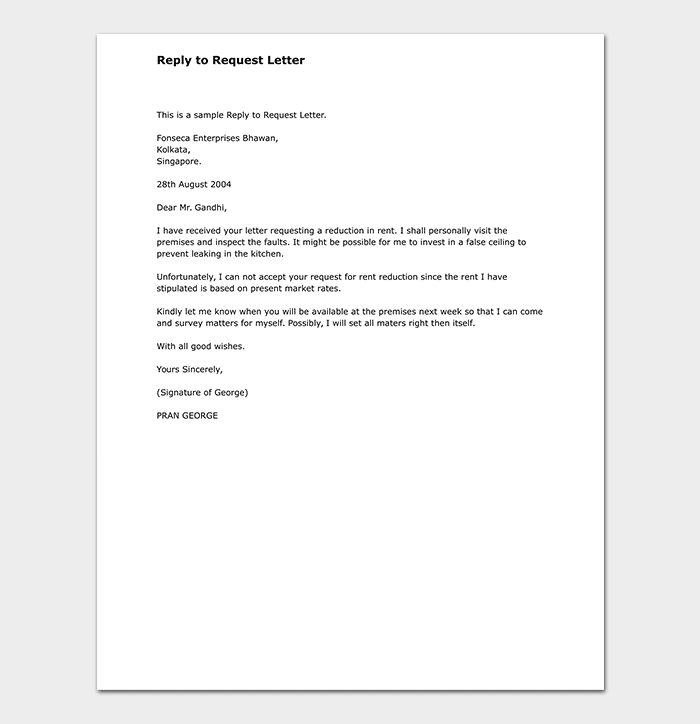 A response letter to a request is a letter, which is an answer to some initial letter. It provides information or relevant answer to the initial inquiry. 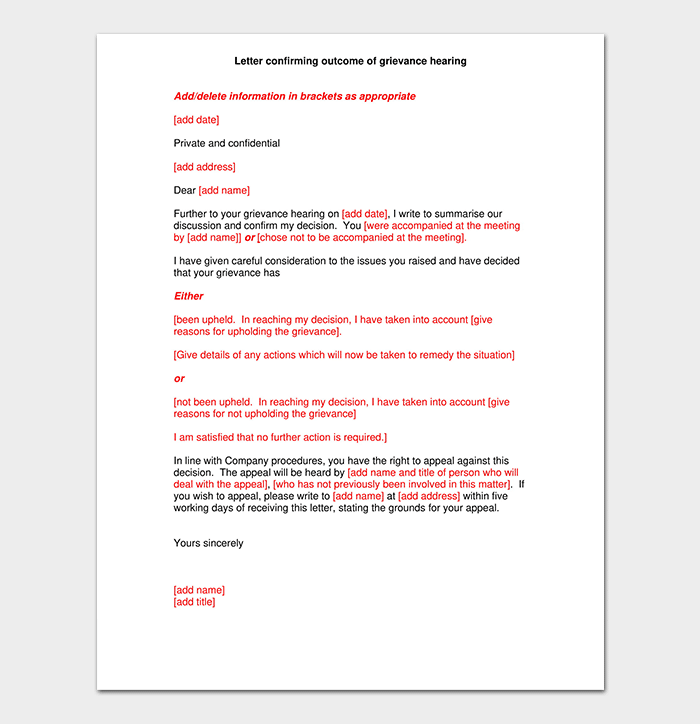 Some people might have a certain concern, or they would like to address an issue, therefore, writing a response letter to such requests become very important. Using samples can be of great help. Thank you for contacting us regarding the XYZ situation (explain the situation here). We regret to inform you that at this time we must decline this request (state reason for declining the request). Thank you so much for taking interest in this matter. Please accept our sincere apologies. 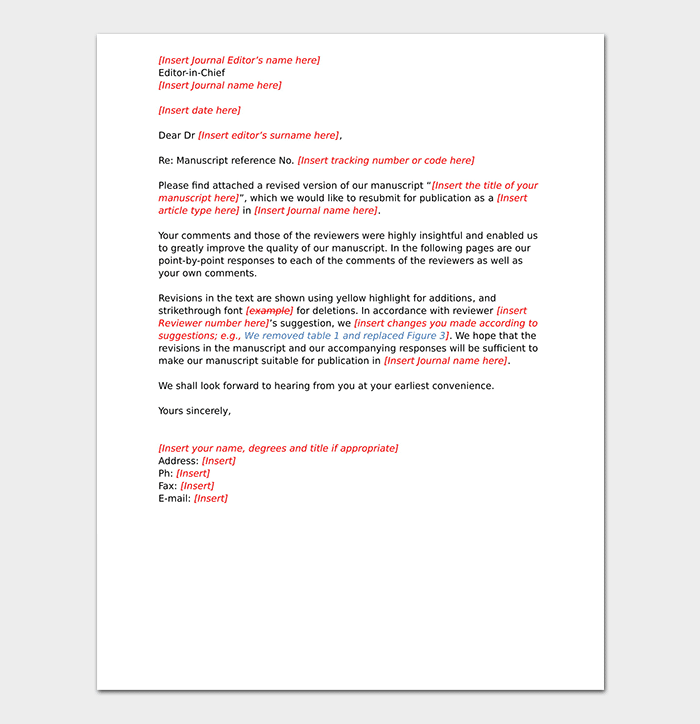 A customer might complain against a certain service or product and might raise a query, which is why is important to know how to write a good customer response letter. Reading relevant samples can be of great help to the writer. 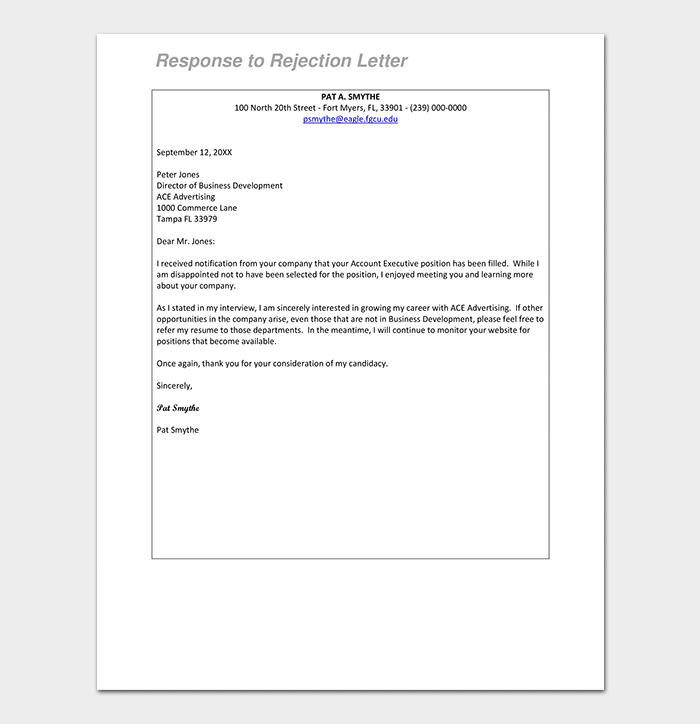 It would be wise to know how to write a response to rejection letter as it maintains the relationship between two parties, as rejections are quite emotional for some people. Knowing the right content would be of great help and might even open some future opportunities. 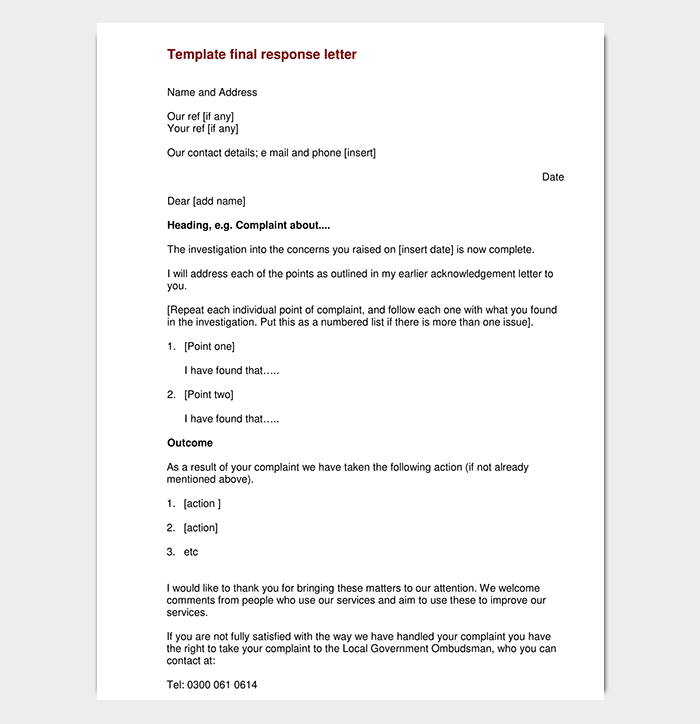 Receiving a patient’s complaint can be quite disrespected and could hurt the feelings, which is why knowing how to write a response letter to a patient’s complaint can be quite useful. It is important to read the relevant sample to get an idea about the right content and tone. 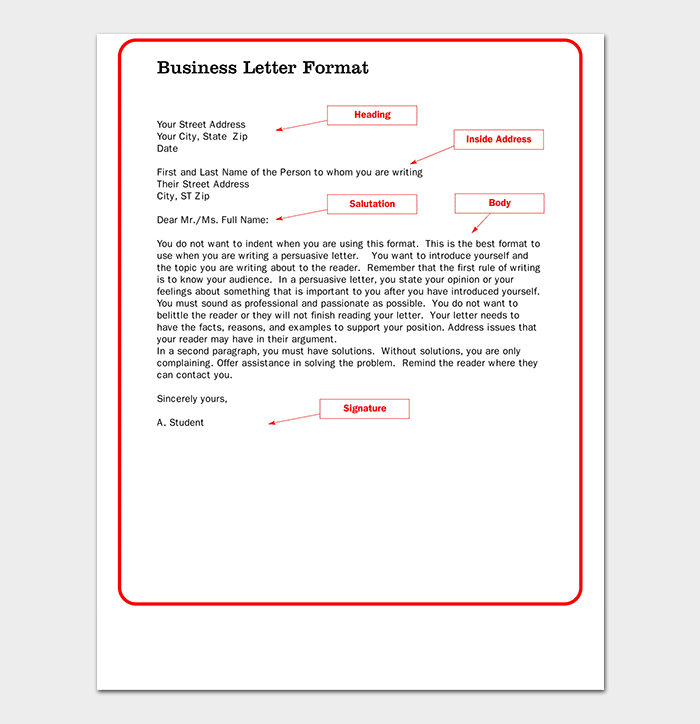 It is important to know the right format for the business response letter. 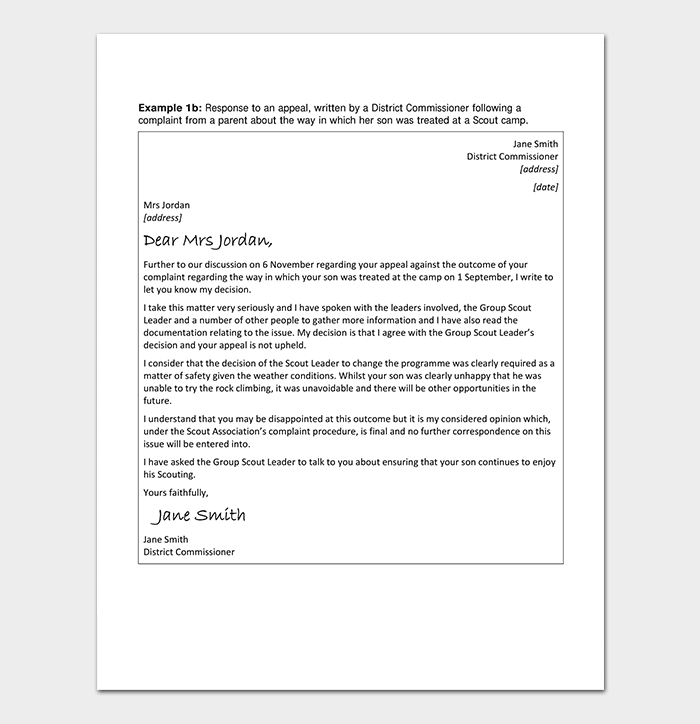 When writing such letter, it is important to use the professional tone and the relevant format. Some service providers respond in stages and a Final Response Letter means that there is nothing more to add as such and the customer or person would get the relevant details. Using a template for this kind of letter would be a good idea. 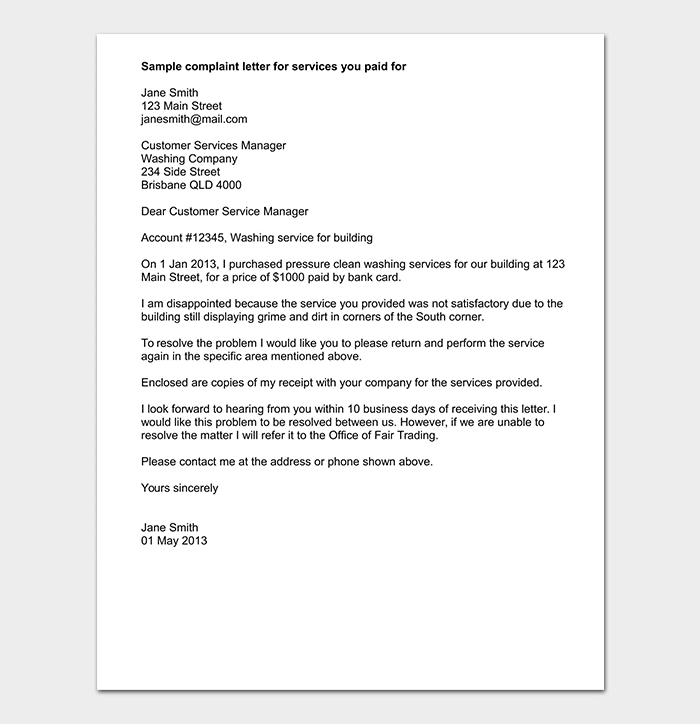 A reply to request letter would indicate whether the request is accepted or declined. Reading the relevant sample can be of great help to select the right content. 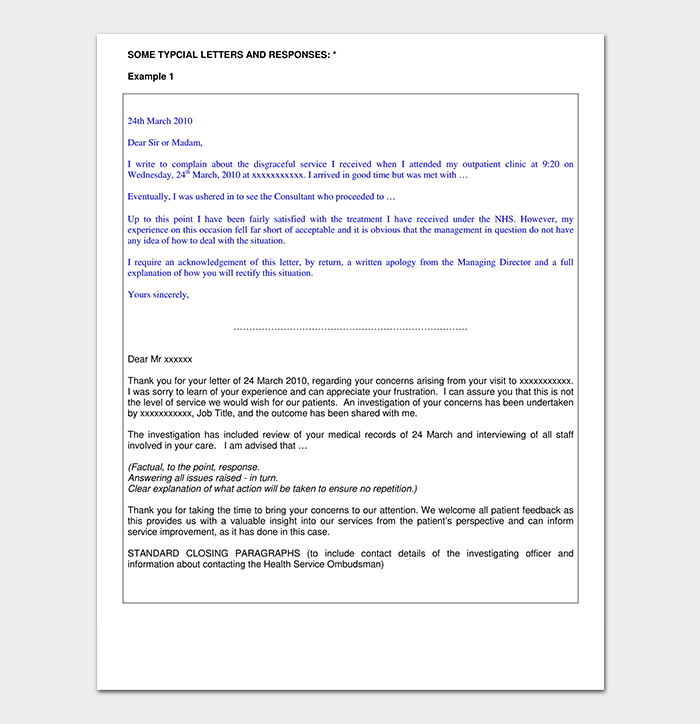 The response letter should address the person who had initially sent the query. It should satisfy the query of the person who had asked for a response to a certain situation. 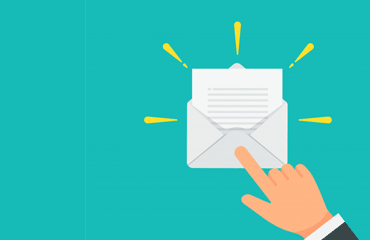 The letter should include specific information, which is to the point and satisfies the reader by solving the relevant issue or providing some information about it. The letter should be formal and organized in a logical manner. There should be no spelling or grammar mistake and the tone of the letter should be formal. Proofread the response letter before sending it to the relevant person.